The Premier League has been a staple of our football landscape for 25 years now, but the league itself is no age when compared to some of the players to have scored in it. Here is a rundown of some of the oldest ever goal scorers in the Premier League. Sheringham has a unique place in the Premier League’s history, not only is he the oldest goal scorer but he also bagged the first goal to be shown live on Sky Sports. At the tender age of 26, he scored for Nottingham Forest as they played Liverpool in the first televised Sky Sports game. It ended 1-0 and weeks later he moved to Tottenham Hotspur. Sheringham has a unique place in the Premier League’s history, not only is he the oldest goal scorer but he also bagged the first goal to be shown live on Sky Sports. It could be said Sheringham enjoyed an illustrious career from that point, a late developer who made up for lost time by collecting trophies at Manchester United and racking up the England caps too. He could always be found amongst the Premier League’s leading scorers most seasons. All good things must come to an end, but for Teddy, they ended later than most. On Boxing Day 2006, he scored a consolation as West Ham were beaten 2-1 at home to Portsmouth. 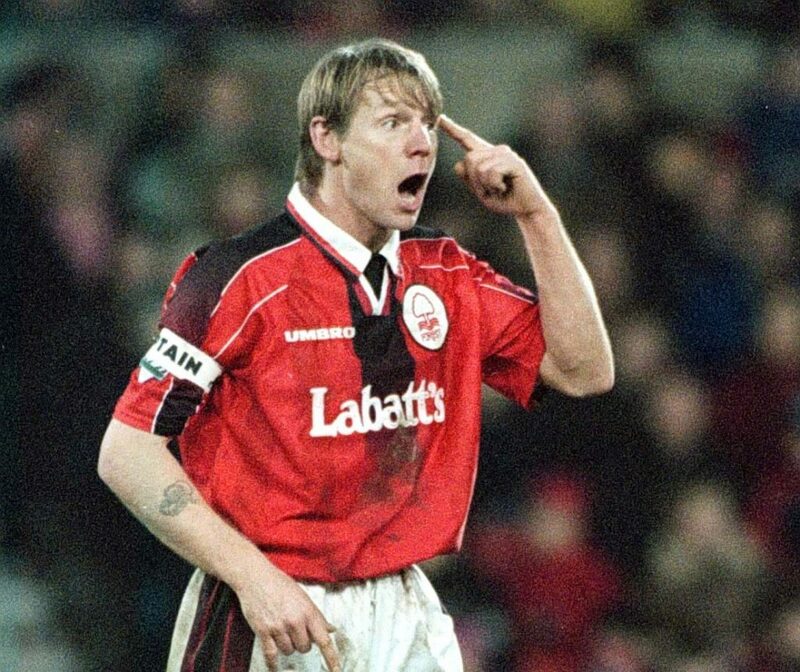 At 40 years, eight months and 24 days, he replaced Stuart Pearce as the Premier League’s oldest ever goalscorer. That record still stands. Windass was never the oldest Premier League scorer and, at almost a year younger than Sheringham when he got his goal, he didn’t really come close to achieving that honour. He is still the second oldest player to score a Premier League goal, though, at 39 years, seven months and 21 days old. It was a crucial one, too, an 87th-minute equaliser as Hull City snatched a 2-2 draw at Portsmouth in November 2008. 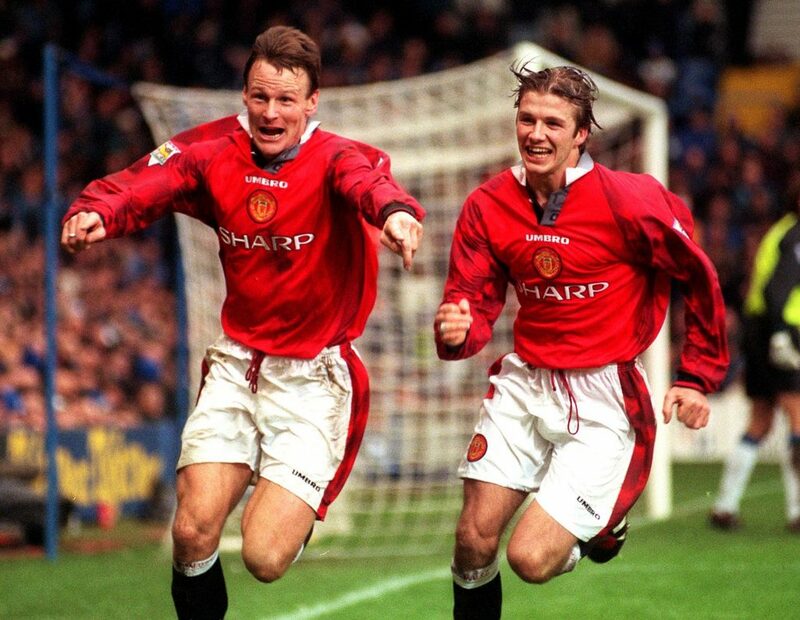 It would be remiss not to mention Giggs, the third oldest player to bag a Premier League goal. Giggs is a true Premier League legend, the most decorated player in history and a one-club player too. It seems only fitting that one of his 114 Manchester United goals placed him somewhere on the list of oldest scorers. At the age of 39 years, two months and 29 days, he scored an 80th-minute goal that extended table-topping United’s lead against bottom side QPR in February 2013. Manchester United were favourites for the title almost every season in that golden age of Alex Ferguson and Giggsy was at the heart of that success. Like Sheringham, Pearce is another England legend who held the title of oldest goalscorer for six years. ‘Psycho’ was a national institution, a hard as nails presence who once played an entire half with a broken leg. His penalty for England in Euro 96 became one of the endearing moments of the tournament after his World Cup miss six years previous. On November 25th, 2001, Pearce scored West Ham’s second goal of a 3-2 win against Southampton at The Dell. He was 38 years, seven months and 1 day old, at the time making him the oldest ever and leaving him fourth on the all-time list. Yes, you’ve read that correctly! Schmeichel is tenth on the oldest scorers list, a relative youth of 37 years, 11 months and two days old. However, it is quite remarkable because he was a keeper; not only the oldest to score in the Premier League but also the first. It came as he enjoyed the twilight years of his career at Aston Villa. His late volley meant little as Villa were beaten 3-2 at Everton, but it is a feat that has only been repeated four times, always by far younger men. The current crop of hopefuls will have to go some to beat the longevity of Stanley Matthews though. He scored his last goal at the age of 49 years and 14 days for Stoke City against Swansea Town in 1964, albeit in the FA Cup.